In 2005, Midland, Texas, began to experience exponential growth as the national and global demand for energy soared and exploration and production activities increased. The population of about 103,000 began growing 10 percent annually. In 2007, year-over-year traffic volume at major arterials in the city increased by 17 percent, so traffic management became a top priority. 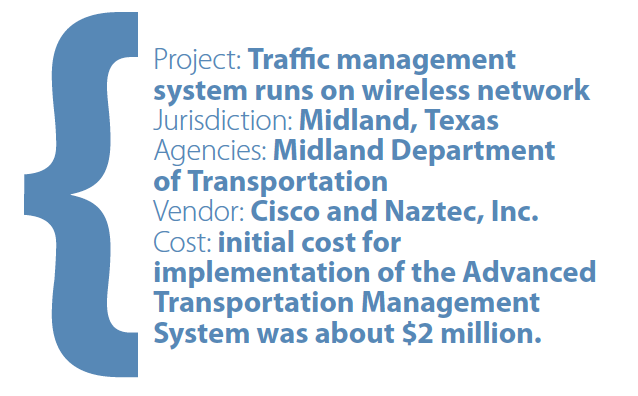 Gary Saunders, the head of the Midland Transportation Department, who is set to retire this year, recommended the IP wireless Advanced Transportation Management System (ATMS) proposed by Naztec, Inc. 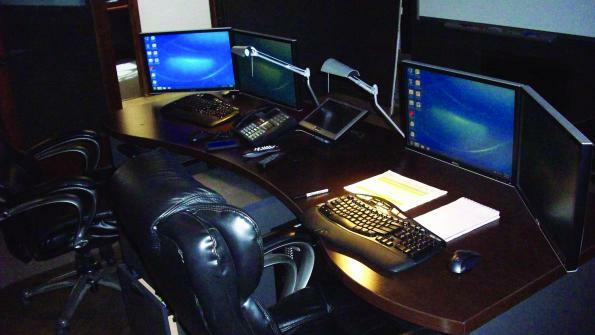 The solution used the model 980 controller and the web-based ATMS Central Software Suite running on a Cisco wireless network with more than 1,500 wireless access points. The system monitors traffic and notifies affiliated departments about the status of 119 networked traffic signals and 70 pedestrian crosswalk flashers. The system backbone runs to a new centralized Traffic Management Center that was implemented as part of the project. The city has also seen the following cost savings and benefits as a result of the new ATMS: 27 percent reduction in total delays per vehicle, 18 percent reduction in total stops per vehicle and 10 percent reduction in fuel consumption. This adds up to $1.2 million annual savings on four major arterials alone with average vehicular volume. The technology deployment has broad implications for the future of mobile applications for Midland. The $1.9 million investment will cover the network cost for the ATMS, and will also provide the wireless network as a platform for a growing array of emerging technologies that will benefit the entire city. For example, as a result of the decision made by traffic engineering, the downtown area now has 95 percent wireless coverage at no additional cost. Midland continually looks for ways to enhance its traffic management system by deploying vehicle detection cameras, replacing wires embedded within the paved surface of the roadway and installing pan/tilt/zoom cameras. The cameras provide live video to the Traffic Management Center to monitor current traffic flow on the arterial street system throughout the city. Midland will continue implementation of new timing plans into the ATMS as traffic volumes continue to increase.